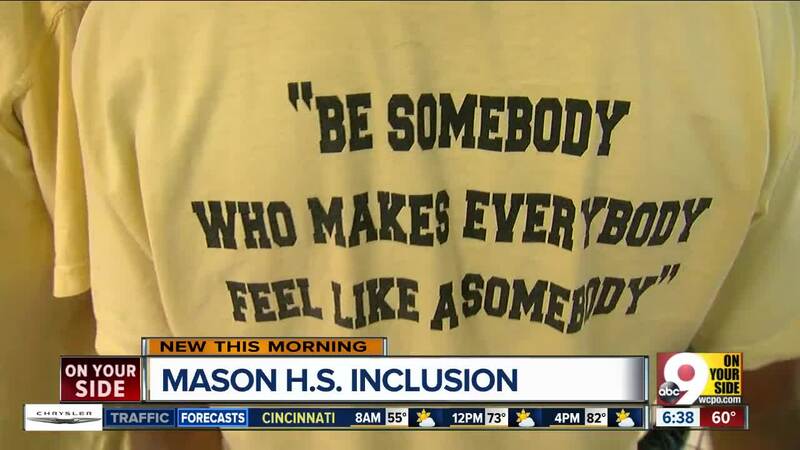 MASON -- In an effort to help kids have an easier time finding acceptance throughout their school career, Mason High School is starting a program to help students feel more included. Their peers are leading the way. "We wanted to make sure that everyone is included, and everyone feels like they're part of something bigger than themselves," Mason High School senior Alberto Morales said. The program is called Students Involving and Befriending Students -- SIBS, for short. "We have 140 SIBS who are assigned, four each, to each freshman homeroom," Mason City School psychologist Jeff Schlaeger said. The SIBS act as student engagement and inclusion ambassadors. Their goal is to "be somebody who makes everybody feel like somebody." "Unfortunately, some people don't have that supports system at home where they have someone to go to to say, ‘I'm having struggles with this' or ‘I need help with this,'" Morales said. Lunchtime can be an especially intimidating time for middle and high schoolers, and this week's goal for the SIBS was to make sure that no one ate alone. They also do things like create flash mobs during lunchtime. "I know how that feels to sit alone and I know how that feels to not have any friends," Mason High School Senior Andrea Lawley said. The SIBS are also instrumental in spotting bullying or problems on social media. "Kids at all ages are much more comfortable reaching out to and talking to their peers than they are to adults," Schlaeger said. Some of the programs and ideas they use at Mason High School are from Sandy Hook Promise , a violence prevention program started by parents of Sandy Hook victims. "To me, we lose a kid, we fail," Schlaeger said.